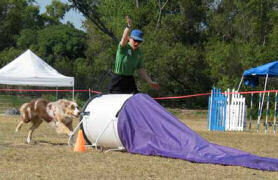 Fun Trial (and other) Snapshots! 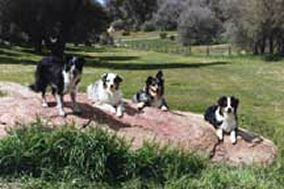 Photos of Monica Gallina with Pepper and Friends Having Fun! 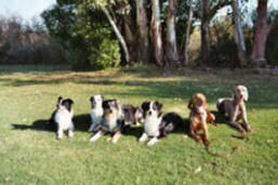 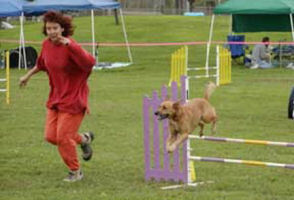 What do agility dogs do when the trial is over? 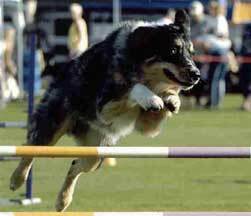 Where do agility dogs go to unwind? 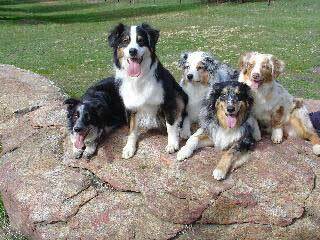 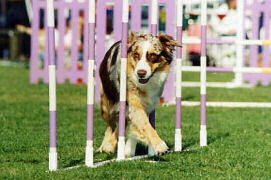 What happens to agility dogs when they train and trial together? 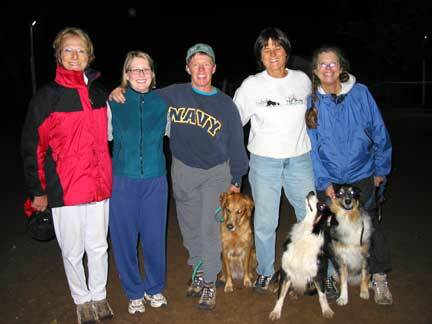 Team Gallina went on a road trip last summer, spending time in Humboldt and Del Norte Counties. 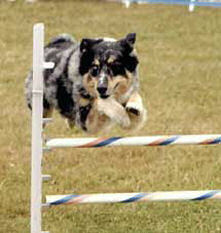 After camping, hiking, meeting new folks and their dogs, and just plain relaxing it was time to get back to agility. 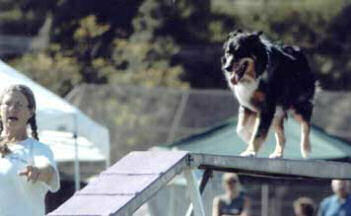 We represented San Diego at the HumDog Agility Club Trial in Eureka, CA, held August 2nd & 3rd. 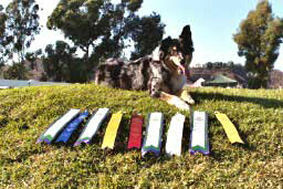 Pepper earned a First Place and a Q in Open Gambler and in Open Jumpers. 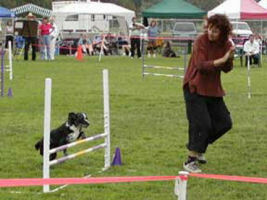 The agility people were very friendly, the trial was small, the weather was cool and moist (while all of Southern CA. 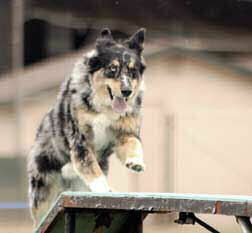 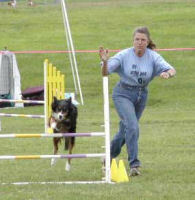 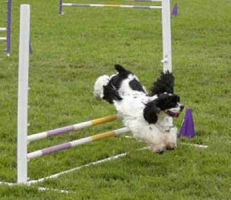 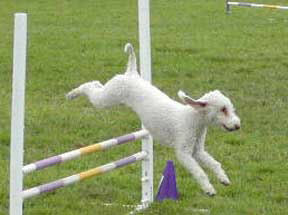 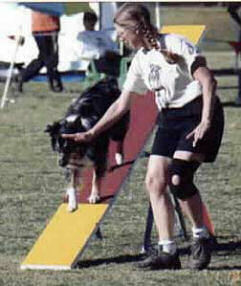 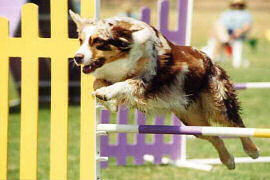 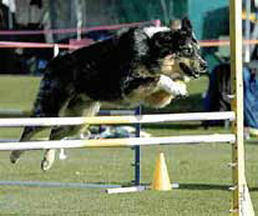 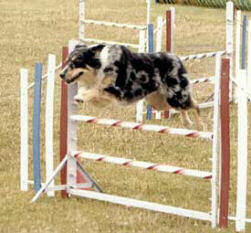 was cooking) and the agility trial was the front page story in the Sunday newspaper, the Times Standard. 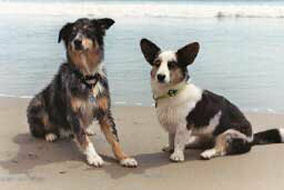 Pepper posed for a photo with the featured dog, a "McNab" named Tuco. 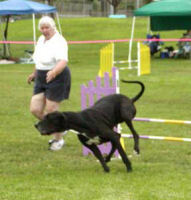 Mid August found us competing in Del Mar at the UDAC NADAC Trial. 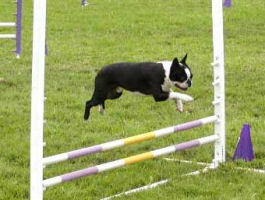 Pepper completed his OPEN Jumpers title with a First Place and a Q and his OPEN Gamblers. 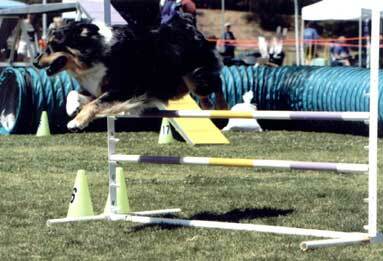 The highlight of this trial was completing the Gamblers opening sequence while another dog ran across the course and then STILL getting the gamble! 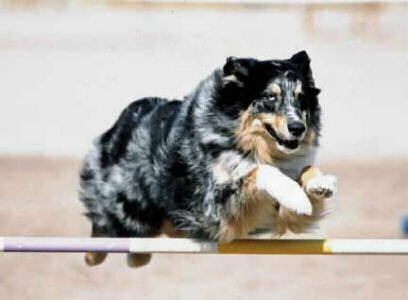 This is the best focus Team Gallina has exhibited at any point in any trial. 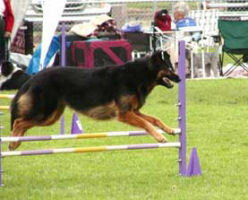 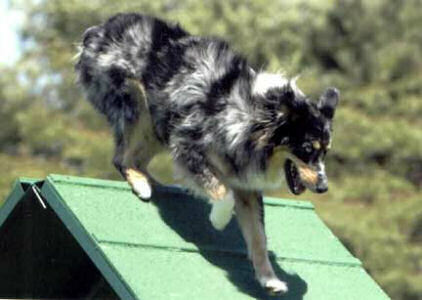 In 2003 Pepper earned his AKC Novice Jumpers Title; the NADAC Novice and the Open Gamblers Titles and the NADAC Novice and the Open Jumpers Titles. 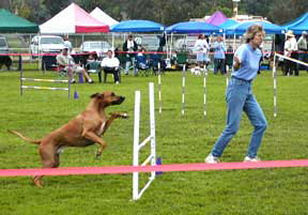 We struggle with "making contacts" and have not yet achieved the Novice Standard Title. 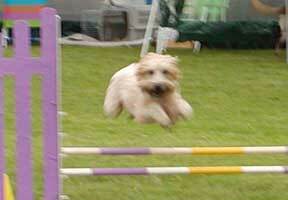 Sandy is always behind us whether we are "getting it" or whether we are "blowing it". 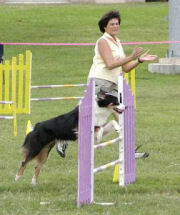 She watches how we run and gives us helpful feedback and encouragement. 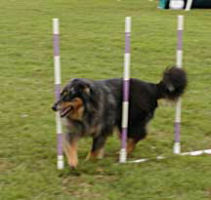 Sandy started our first class after the New Year with an AKC Championship Course! 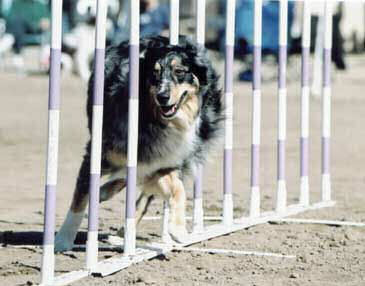 Thank you, Sandy, for always challenging us and for keeping us on our toes.